Joel Cohen – Interested in IR, citizenship, education, politics and charities. Contributor to the national conversation, and many personal ones. Interested in IR, citizenship, education, politics and charities. Contributor to the national conversation, and many personal ones. Party Politics: realignment or disintegration? On January 18th 2016, I discussed The UK Trump Parliamentary Debate with RT UK (8pm Bulletin) and debated reactions to the online petition against his entry to the UK with journalist, Salman Shaheen, on RT International (9pm Show). A transcript of the debate has been published here. Cast your mind back a few months and you’ll remember our General Election where ‘Full Britannia’ besieged by Calais’ poor, tired and hungry was thought such a galvanizing stance that mug-ladden Labour tried to fend off UKIP’s advance with beefed-up border controls. Today, confronted with the harsh realities of this policy, and shamed by Germany’s open arms towards migrants, the mood in Britain is very different. Now more than ever, we must start a new debate on how Britain should react to the problems of migration aside from the economics of taking people in. In a small discussion at the Overseas Development Institute last night, Stephen Hale, chief executive of Refugee Action, rightly urged the audience to look forward to solutions for a crisis that’s been four years in the making rather than assigning blame for past (in)actions. The debate itself raised many questions over our government’s recent change of heart: what good are new measures that fail to match the scale of the problem? Does opening the door to Syrian migrants create a two-tiered response to the migration crisis? And how are we helping if our door is open, but the path that leads to it continues to remain dangerous? To answer these questions, we need a clear understanding of what our moral duty is to refugees and migrants – no matter which you call them. But members of the UN Security Council remains divided or are unwilling to choose a course of action; the many committees and commissions of the EU have failed to make good on the promise of international cooperation; and our government remains smugly satisfied with arms-length military escapades and continues to do 0.7 per cent of the right thing following its GDP commitments to overseas-development aid. Whatever else, a clear picture is emerging that effective answers won’t come from these lazy leviathans of international life. Whether you are in favour of open borders or are just sympathetic to the plight of those on the move, we must remember to look beyond the humanitarian tragedies of the current crisis and start arguing over the meaty moral questions at the heart of our response: what duties do we have to the outside world and how should we act on them? 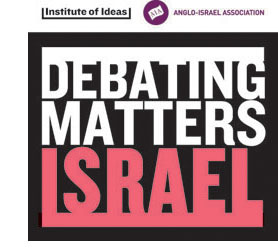 Debating Matters Israel was launched on Monday 11 May with a welcome reception at the British Ambassador’s residence in Tel Aviv. On Tuesday 12 May, six schools from across Israel competed in a showcase competition at Tel Aviv University to showcase the competition’s unique format and approach to debate in English.